Pepsi’s viewing party companion, Pepsi Sound Off, was in need of an updated consumer experience. 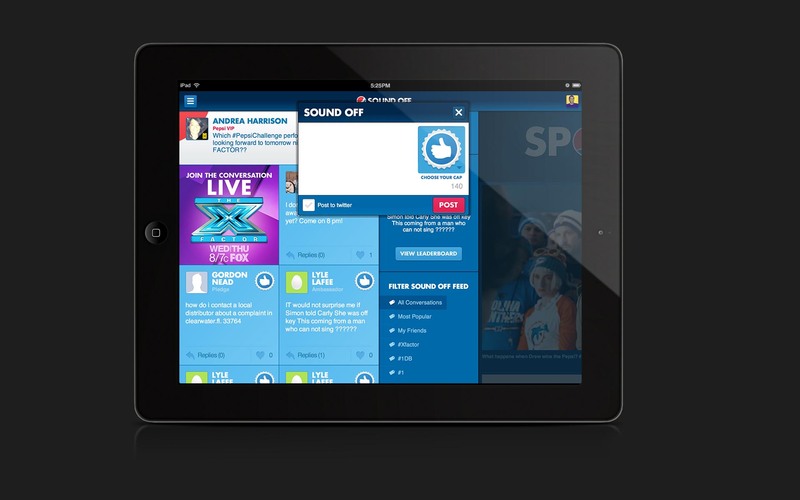 It initially launched in 2011 to engage fans of the X Factor TV show. X Factor had the potential to draw in super fans and engaged viewers, but the experience needed to expand to remain relevant. The experience became a 24/7 community platform that sustained itself even without a live TV event. It maintained a viewing party experience and elements of a second screen application while seamlessly integrating Pepsi properties and the "Live for Now" branding. 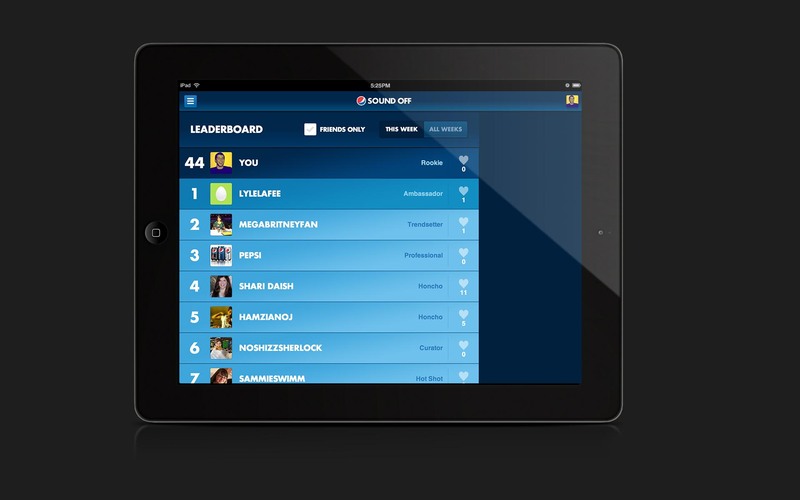 The desktop, mobile and tablet versions of the site were all built in HTML. A custom CMS was built to allow integration of future third party vendors as well as additional content and functionality. 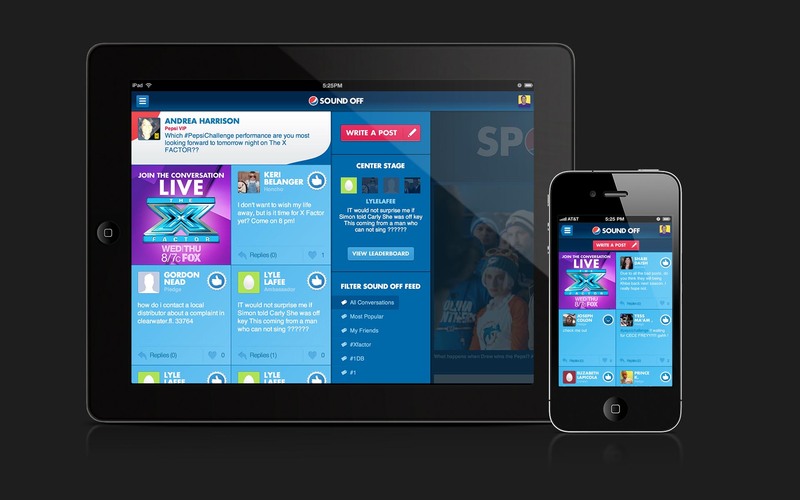 Working with Gigya, Mass Relevance, Crowd Twist and X Factor helped create an immersive community feel. Pepsi Sound Off has an eye on its future, hoping to connect fans of other, even bigger live events like the Grammy Awards and the Super Bowl.